In Collins v Lawrence  EWCA 2268 Civ Lord Justice Hamblen considered an issue under limitation and the Convention Relating to Carriage of Passengers and their Luggage by Sea (the “Athens Convention”). It serves as an important reminder that many cases are not subject to a three year limitation period and the two year period can bite unexpectedly. A passenger was still disembarking when they left a boat and were on steps leading down to the beach. Anyone surprised by this may find earlier posts useful : Trouble at Sea: Limitation Periods and Water Travel and Myths about limitation: Everything is never ship shape if you assume a three year limitation period applies. The claimant was on a fishing trip off the coast of Kent. To disembark the boat was winched up onto a shingle beach. The claimant then stood on free-standing steps to descend onto the beach. The steps were free-standing and not part of the boat, they were a semi-permanent structure on the beach. The claimant’s case was that he stood on a wet wooden board at the bottom of his steps and lost his balance. The accident occurred on the 14th November 2010. Proceedings were issued on 25 September 2013. If the Athens Convention applied then it was time barred. A two year limitation applied. The issue was whether the claimant had disembarked from the boat at the time. The judge found that disembarkation had not been completed. The Athens Convention therefore applied and the claim was statute barred. The judge also found that the defendant was negligent, subject to a deduction for contributory negligence. The claimant’s application for permission to appeal was rejected. The steps formed part of the disembarkation process. The sole ground of appeal is that the judge was wrong to have found that the claimant had not disembarked from the boat when the accident occurred. The arguments advanced in support of this contention are essentially the same as at trial. The claimant says that the concept of disembarkation encompasses all the steps necessary to leave a vessel. The claimant had left the boat once he had stepped onto the platform at the top of the steps, but at the latest when he stepped off the steps onto the wooden board at the bottom. The claimant accepted that the trip was one to which the Athens Convention applied but disputed whether it applied at the precise point at which the accident occurred. “1. The carrier shall be liable for the damage suffered as a result of the death of or personal injury to a passenger and the loss or damage to luggage if the incident which caused the damage so suffered occurred in the course of the carriage and was due to the fault or neglect of the carrier or of his servants or agents acting in the scope of their employment”. “(a) With regard to the passenger and his cabin luggage, the period during which the passenger and/or his cabin luggage are on board the ship or in the course of embarkation or disembarkation and the period during which the passenger and his cabin luggage are transported by water from land to the ship or vice versa, if the cost of such transport included in the fare or if the vessel used for the purpose or auxiliary transport has been put at the disposal of the passenger by the carrier. However, with regard to the passenger, carriage does not include the period during which he is in a marine terminal or station or on a quay or in or on any other port installation”. The key question under the Athens Convention was whether the claimant was in the course of “disembarkation” when the injury occurred. If he was then the claim would be time barred. Counsel were not be able to find any English authority on the interpretation of this wording. Arguments were made by analogy with the Warsaw/Montreal Conventions which govern carriage of passengers and luggage by air. At paragraph 37 of his judgment the judge justifiably noted that care must be taken in drawing analogies from other instruments which were negotiated at different times for different purposes. The judge held that disembarkation was not completed until the claimant was established safely on the shingle beach. He rejected the claimant’s submission that it was completed once he was on the platform at the top of the stairs or when he stepped on the board at the bottom of the stairs. “40. . . . I find it very difficult to agree with Ms Prager’s submission that disembarkation has been completed at the point where the passenger arrives at the top of the steps leading to the beach. Most people would say that it was complete when the passenger had arrived safely on shore and that in this case, this means on the shingle. The method of embarkation or disembarkation is by steps leading to the shingle. 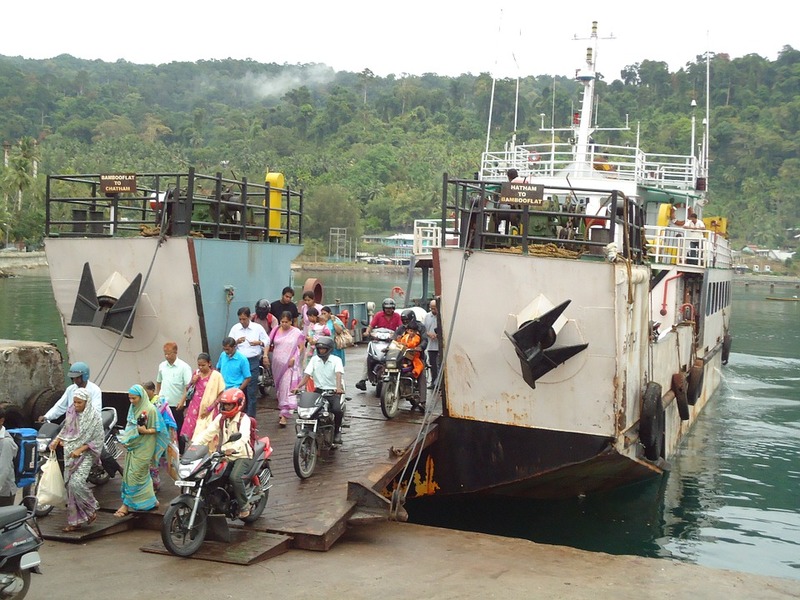 If disembarkation is by boat transfer, then you have disembarked from the original carrier when you are safely aboard the transfer boat. Under the Athens Convention the definition of ‘carriage’ is extended to cover the case where a transfer boat is ‘put at the disposal of the passenger’ by the carrier, which suggests that if that had not been the case then disembarkation would have been completed. 41. Alternatively, Ms Prager argues that disembarkation is complete once the person reaches ground level from the steps (in this case stepping onto the board if a board was placed on the shingle) and uses the analogy of a passenger stepping onto the quay. I agree that once safely established on the shingle the passenger is no longer in carriage. If, for example, the claimant had tripped while walking up the beach he could no longer be said to be in carriage, any more than if he had been walking on a quay. On the other hand, if a skipper had placed a rubber mat at the edge of the quay onto which disembarking passengers stepped directly from the boat, I cannot see that it could be said (using the natural meaning) that disembarkation had been completed until the passengers stepped off the mat. In renewing the application for permission to appeal Ms Prager, who appeared for the claimant at trial, relies on the main submission she made at trial, namely that disembarkation was complete when the claimant stepped onto the platform at the top of the steps. In particular, she submits that there is no guidance either in the Convention itself or in the travaux préparatoires to it, nor from the higher courts, as regards the precise time at which disembarkation ceases. The applicant contends for a test of ‘place of safety’ – once the passenger has reached a place of safety, independent of the vessel, it is submitted he or she has completed the process of disembarkation. The applicant had done so in this case. The staircase was fixed to the beach as a permanent structure. Accordingly, it was analogous to a “marine terminal or station” or “quay” or other “post installation” within the meaning of the Convention and these are expressly excluded from its operation. In my judgment the judge was correct that disembarkation was not completed until the claimant was ashore which in the present case meant being on the shingle beach. As the judge found, the steps, including the board, were part of the disembarkation equipment. As such, disembarkation was not complete until the claimant stepped off that equipment. That did not occur until he reached the shingle beach. In a case such as the present, the process of disembarkation covers the whole period of moving from the vessel to a safe position on the shore and whilst a person is still using equipment which facilitates disembarkation, such as the steps and board in this case, he is still in the process of disembarking. The case may be said to be analogous to one where disembarkation is by a gangway provided from the shore side. There too the gangway would be independent of the vessel and it could be said that the disembarking passenger was in a “place of safety” when he stepped onto a platform at the top of the gangway. In my judgment, the gangway would however be regarded as being a part of the disembarking equipment, being the means by which the passenger disembarks from the ship to a shore. In those circumstances, disembarkation would not be completed until he had stepped off the gangway so that the disembarking equipment was no longer being used. Ms Prager submitted that the gangway was a different case because the steps in this case were semi-permanently fixed to the beach and the boat could move away from them independently. In my judgment this is not a principled distinction. I agree with the judgment that this interpretation reflects the natural meaning of the word disembarkation. It also makes sense for the carrier to be responsible for overseeing the way in which people leave a vessel. It was the carrier’s decision to use these steps and if they were not safe then some alternative method of disembarkation should have been found. Whilst I accept the issue raised is potentially of some importance, I am not satisfied that an appeal has a real prospect of success or that there is any other compelling reason for an appeal. Permission to appeal must accordingly be refused. I was wondering how they’d even complied with the basic limitation period, but it’s a typo – the proceedings were issued in September 2013, not 2015. Yes. I have put that right. Many thanks. I was surprised it was agreed Athens Convention applied to a fishing trip from Kent as I thought there needed to be “international carriage” ie a journey to another nation ?